Bolting on a set of Marchesini wheels will make your bike FEEL like you're riding on AIR! 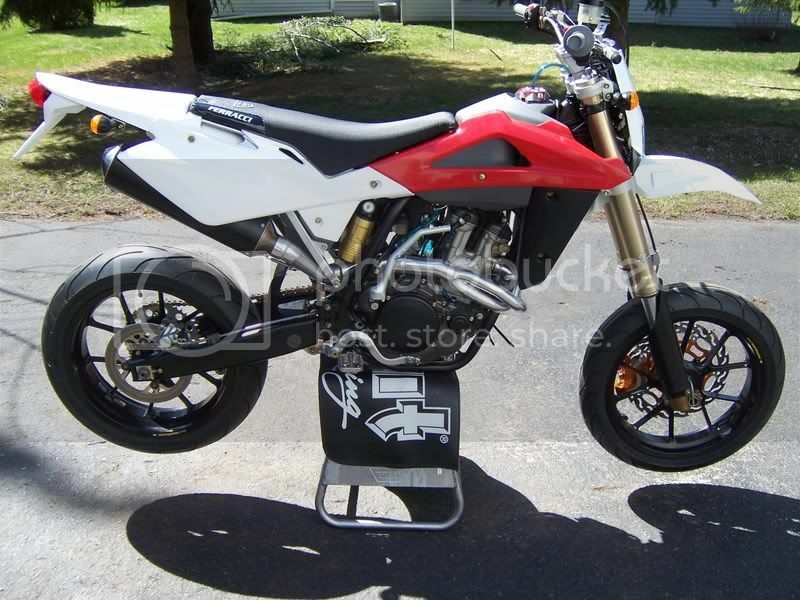 Your bike will accelerate and brake faster along with more stability during braking and cornering, that's why 90% of Supermoto/Street Racers prefer Marchesini wheels over any other wheel on the market. 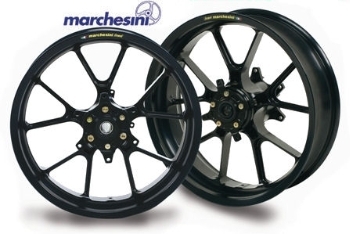 Marchesini's exclusive forging process creates a solid 1 piece wheel that is the lightest and strongest supermoto wheel available in the world! Their Tubeless system in conjunction with lightweight construction makes Marchesini wheels approximately 6 pounds lighter, per set compared to spoke wheels, giving you the feeling of riding on air! Because of these features, Marchesini has revolutionized the sport and are now the #1 racing wheel on the market. Please Note, Marchesini cannot keep up with the global demand so all orders take 2-3 months to for fill and must be paid in full up-front.